United Nations, Apr 29 - Iran has told the United Nations that it reserves the right to take "counter-measures" in response to a US court decision to use Tehran's frozen assets to compensate US victims of terror attacks. In a letter to Secretary-General Ban Ki-moon, Iran said yesterday the Supreme Court ruling last week was "outrageous robbery disguised under a court order." "It is in fact the United States that must pay long overdue reparations to the Iranian people for its persistent hostile policies," wrote Foreign Minister Mohammad Javad Zarif. Iran "reserves the right to take appropriate lawful action, including necessary and proportionate counter-measures, to restore and protect the rights of Iranian people against such persistent unlawful conduct by the United States," he said. The Supreme Court ruled on April 20 that Iran must hand over nearly USD 2 billion in frozen assets to the more than 1,000 survivors and relatives of those killed in attacks blamed on Tehran. The attacks included the 1983 bombing of US Marine barracks in Beirut and the 1996 Khobar Towers bombing in Saudi Arabia. Zarif described the court ruling as "fake and phony and a travesty of justice in every sense of law, jurisdiction, merit, fact and process." The foreign minister cited US involvement in the 1953 Iran coup, US backing for Baghdad in the Iran-Iraq war and the shooting down of an Iranian airliner by a US missile in 1988 as grounds for US compensation to Iranian nationals. He urged Ban to press the United States to release all frozen Iranian assets in US banks in line with the nuclear agreement reached last year. The Supreme Court ruling came after a New York tribunal in March ordered Tehran to pay USD 7.5 billion to victims of the September 11, 2001 attacks on the World Trade Centre and the Pentagon -- and USD 3 billion to insurers over related claims -- after ruling that Iran had failed to prove that it did not help the bombers. Zarif called the claim of Iranian involvement in the 9/11 attacks "absurd," saying it contradicts "even public statements as well as findings -- open or sealed -- of investigations by the US government and US Congress." 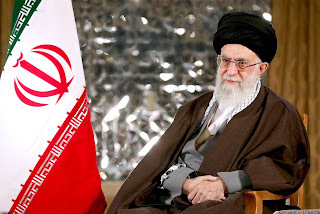 Tehran, Apr 27 - Iran's supreme leader and president accused the United States of hostility and bad faith today saying the implementation of its nuclear deal with world powers was not being honoured. 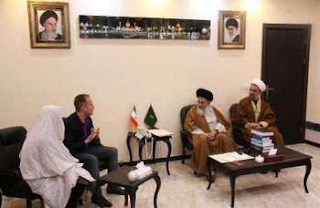 Ayatollah Ali Khamenei echoed other officials in Tehran who allege that Washington is creating hurdles for European financial institutions, more than three months after the agreement came into force. With nuclear-related sanctions lifted, US and European diplomats have said there is no bar on non-American banks doing business with Iran. But it is not happening in reality, Khamenei said. "On paper they say that foreign banks can do business with Iran but, in practice, they are fomenting Iranophobia to prevent relations. "The United States creates disruptions and then asks us afterwards: 'Why are you suspicious'?" Khamenei told workers in the capital. European officials have told AFP their bankers fear they could face fines or even criminal cases against their US subsidiaries if they rush back to Tehran. At a separate event, President Hassan Rouhani criticised a decision by the US Supreme Court last week to make $2 billion of frozen Iranian assets available to American victims of terror attacks. US officials blame Tehran for attacks including the bombing of a US Marine barracks in Beirut in 1983 and the 1996 Khobar Towers bombing in Saudi Arabia. Tehran threatened on Monday to take action in the International Court of Justice against the US if the $2 billion belonging to Iran's Central Bank is "diverted" to 1,000 Americans affected by the ruling. "This is a totally illegal action and contrary to international rules and immunity of central banks," Rouhani said, calling it "a violation and open hostility by the United States against the Iranian people". The US court verdict comes despite hopes for better relations between Tehran and Washington, foes since the Islamic revolution of 1979 ended the rule of the US-backed Shah. That tumult was followed by students' storming the US embassy and a 444-day hostage crisis. More than two years of talks led to the nuclear agreement between Iran and major powers led by the United States and it involved the first open direct negotiations between Washington and Tehran since the revolution. But it has not heralded a thaw on other issues. US sanctions still exist to punish Tehran for its ballistic missile programme and what Washington says is its sponsorship of "terrorist groups" in the Middle East. New Delhi, Apr 27 - Iran has asked Indian refiners like Essar Oil and MRPL to pay interest rate of Libor-plus 0.75 per cent on the USD 6.5 billion they owe it in past oil dues, to make up for the foreign exchange losses. Top Shiite cleric and leader of the Islamic Movement of Nigeria (IMN) Sheikh Ibrahim al-Zakzaky still remains in custody following his arrest in a December raid against Shiite Muslims, but his health is improving, a Nigerian cleric in Iran said. Mohammad al-Shuaib, who studies in Iran’s Al-Mustafa International University, said a number of Sheikh Zakzaky’s supporters have visited him in prison over the past two weeks, noting that his health is improving. On December 12, 2015, Nigerian soldiers attacked Shiite Muslims attending a ceremony at a religious center in Zaria, north of the country, accusing them of blocking the convoy of the army’s chief of staff and attempting to assassinate him. The Shiites have categorically denied the allegations. The following day, Nigerian forces also raided Zakzaky’s home and arrested him after reportedly killing those attempting to protect him, including one of the IMN’s senior leaders and its spokesman. 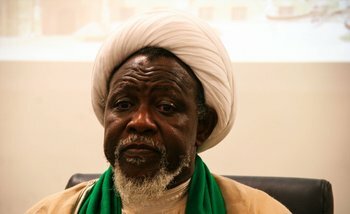 The two attacks led to the deaths of hundreds of members of the religious community, including three of Zakzaky’s sons. 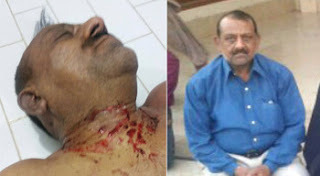 The cleric suffered wounds during the raid. Elsewhere in his comments, Shuaib noted that Amnesty International is conducting an investigation into the deadly attacks. The UK-based Amnesty International said in a Friday report that the Nigerian army killed over 350 supporters of Sheikh Zakzaky and tried to destroy evidence of the crime by burying the victims in mass graves and limiting access to conflict sites in the city of Zaria, according to Press TV. Seven nations will compete for the first time in Malaysia’s International Quran Reciters' Assembly and Quran Memorizing Assembly (MTHQA) which will be held at the Putra World Trade Center in Kuala Lumpur from May 2 to 7. Director-General of the Malaysian Islamic Development Department (JAKIM) Datuk Othman Mustapha said these countries were Australia, Netherlands, Hong Kong, Belgium, Spain, United Kingdom and Sweden which will each be represented by a male and female reciter. Sixty-nine nations will compete in the MTHQA this year. "Of the competing nations, 21 have been invited to participate in tilawah (reciter) while 22 more in hafazan (memorizing) categories and 26 for the open category and can choose to participate in either," he said in a press conference on the MTHQA here Monday. He said in the tilawah category, Malaysia will be represented by the winners of the 59th National Quran Recital Assembly, Wan Ainuddin Hilmi Abdullah from Kelantan and Nor Azrah Ayob from Johor. In the memorizing category, Malaysia will be represented by winners of the 37th National Quran Memorizing Assembly, Mohamad Omar Mansu from Selangor and Farihah Zulkifli from Federal Territory. Othman said the reciters of the assembly, with its theme of "Unity the Pulse of National Transformation" will be assessed by 15 professional judges including from Egypt, Saudi Arabia, Qatar, Lebanon, Jordan, Indonesia, Brunei, Thailand and Malaysia. The Yang di-Pertuan Agong Tuanku Abdul Halim Mu'adzam Shah is scheduled to attend the opening and closing ceremonies. He said the winners in the recital category will win gold bars worth RM70,000 from Yayasan Pembangunan Ekonomi Islam Malaysia (YaPEIM), a trophy and RM40,000 in cash. In the memorizing category, the winners will take home gold bars worth RM20,000 from YaPEIM, a trophy, certificate of participation and cash of RM20,000, he said. 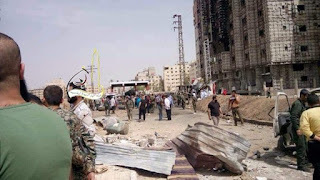 Damascus - A car bomb killed at least five people near the revered Shiite shrine of Sayyida Zeinab, south of the Syrian capital Damascus today, state news agency reported. 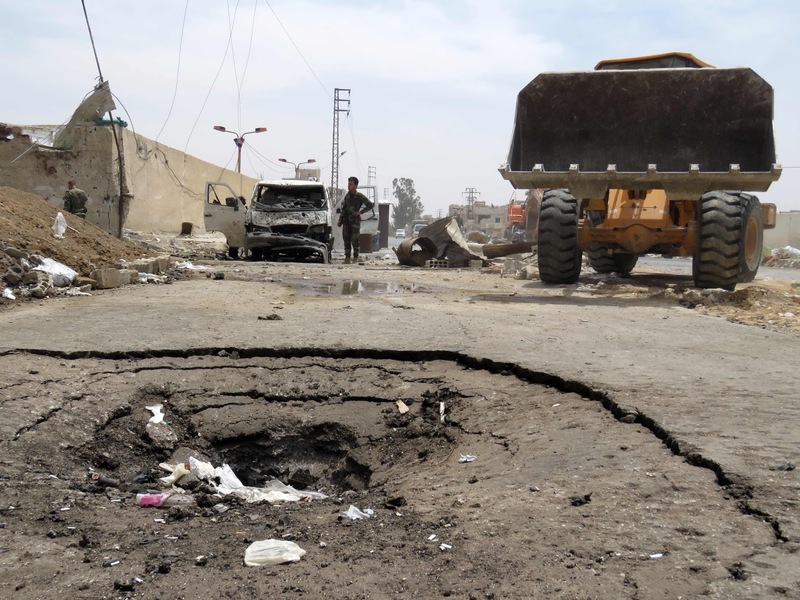 The bomb struck Al-Diyabiyah, a town that serves as one of the gateways for the many pilgrims from around the world who visit the Shiite holy site. Another 20 people were also wounded, a news agency reported. The Syrian Observatory for Human Rights put the death toll at eight. It had no immediate word on whether there were civilians among the dead. The shrine contains the grave of Zeinab, a venerated granddaughter of the Prophet Mohammed, and is known for its glistening golden onion-shaped dome. An AFP correspondent said he heard ambulance sirens wailing through the streets of Damascus on their way to Sayyida Zeinab. 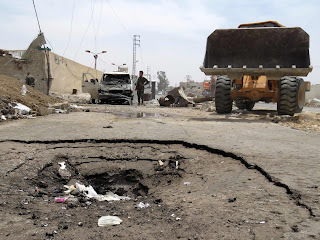 The area around the shrine, which is heavily secured with regime checkpoints hundreds of metres (yards) away to prevent vehicles from approaching, has been hit by Sunni extremists of the Islamic State group several times this year. A string of IS bombings near the shrine in February left 134 people dead, most of them civilians, according to the Observatory. And in January, another attack claimed by IS killed 70 people. Lebanese Shiite militant group Hezbollah cited the threat to Sayyida Zeinab as a principal reason for its intervention in the civil war on the side of President Bashar al-Assad. More than 270,000 people have been killed and millions more been forced to flee their homes since the conflict erupted in 2011. The Kaduna state SSG told d JCI in his testimony that they collected 191 dead bodies of Shia_Muslims from NA_Depot & 156 bodies from ABUTH. After killing Shiites in Zaria, the Nigerian Army brought the dead bodies to Kaduna (80KM) & buried them in mass graves. 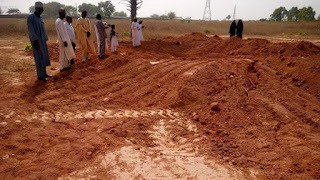 This mass grave of the Zaria_Massacre is located at Mando Kaduna cemetery which is along Birnin Gwari road just after Hajj camp. 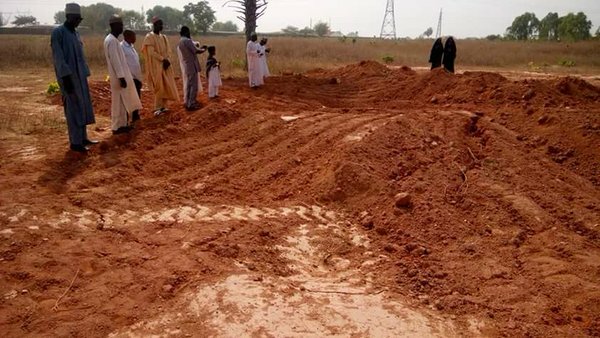 One of the mass graves that the Nigerian_Army buried the 1000+ Nigerian Shia_Muslims killed in d Zaria_Massacre.